We really like to think of ourselves as Disneyland experts, but sometimes our expertise comes from learning from our ridiculous mistakes! Today we're going to share our biggest and best Disney mistakes with you so that you aren't doomed to repeat them. When you buy your tickets for your trip always take a picture of the barcode on the back. In case you lose your ticket, you can show the picture to Guest Services and get it replaced! (We've had tickets fall out of back pockets more than once!) 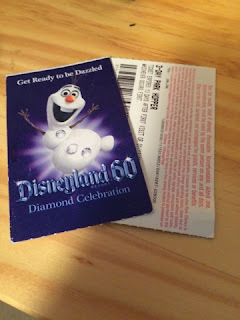 The same is true for Annual Passes. You can register your pass on the Disneyland app and use it for park entry on your phone. Perfect for if you leave your pass at home. When it's the parade or the fireworks, do yourself a favor and stay where you are! Trying to cross the street in the little crosswalks they set up can get incredibly frustrating. Take the monorail, hop on the train (when it reopens, of course), or ride one more ride to pass the time until Main Street is a little bit more clear. 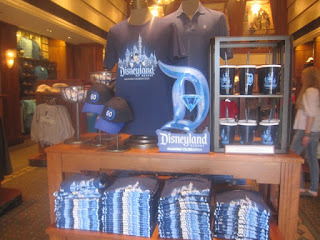 We all want to buy the awesome souvenirs that we find all over the park during the day. But we rarely want to carry them with and drag them on and off rides all day. (Wearing a Disneyland bag stuffed full of trinkets like its a backpack in 90 degree heat is just brutal.) There are a few good options here to help you avoid Pack Mule Syndrome. 2: Check in your purchases at the Newsstand at the end of Main Street. You can pick them up at the end of the day or any time if you're heading back to your hotel. 3: Do your shopping before you leave at night. The stores are a little more crowded, but you can get it all and then get out! This is a true story of someone close to us who shall remain nameless...let's just call her "Mom." She decided the best way to budget for her Disneyland trip was to bring all of her spending money as cash. That way she'd know exactly how much she had to spend. It was a great idea...until she left her purse on the Pinocchio ride with ALL of her vacation money in it! Don't worry, she just had to wait for her ride car to come back around to get her purse back. But it was enough of a scare for us to all always double check we have our things from that moment on! So always check for your bags, and maybe just use your credit cards.